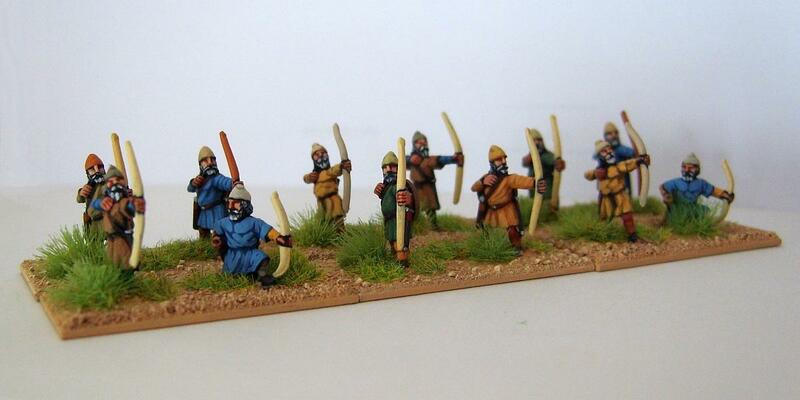 Step #1: A few bases to a battlegroup - some time ago I painted half a dozen Muslim archers. They were intended for an Islamic Persian DBA army however, with the addition of "few" extra figures, they have been masquerading as allied Armenian medium foot in the service of my Field of Glory (FOG) Ilkhanid Mongols for over a year now. It's not an unreasonable morph and they have delivered sterling service. 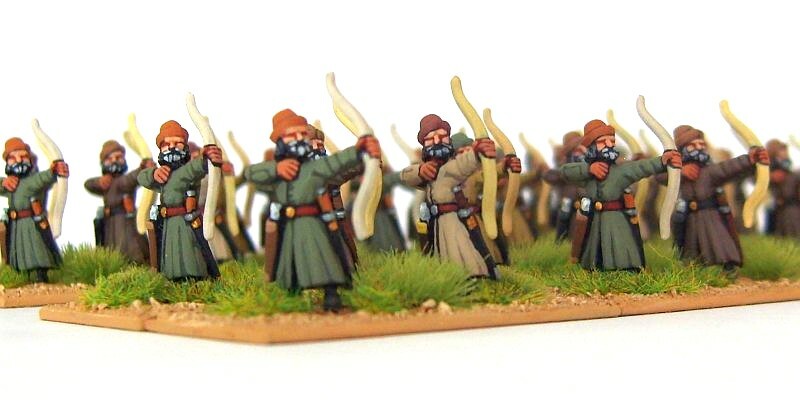 Step #2: Other options - in FOG the Armenian archers can be either medium or light foot. So, with the addition of a few extra figures, I had enough light foot to field either type of archers. Initially I used Essex MER 32 (Celtic Isleman) which makes an excellent Armenian archer. 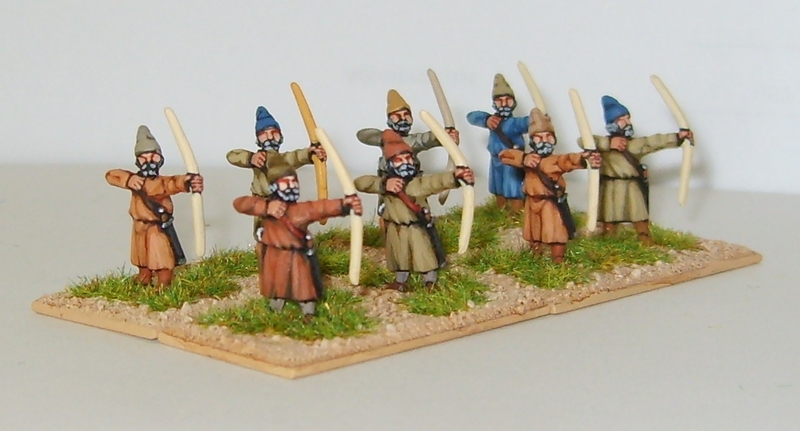 Step #3: I decided to switch to a mix of genuine Armenian archers CRU29C and some Viking archers VA6 (both Essex). This meant I had 18 bases when I only need 8! Step #4: Shiny & cheap - the Viking archers were the gateway to chaos. I bought them second from Instant Armies & Veteran Miniatures (I think) at one of the shows in the North. 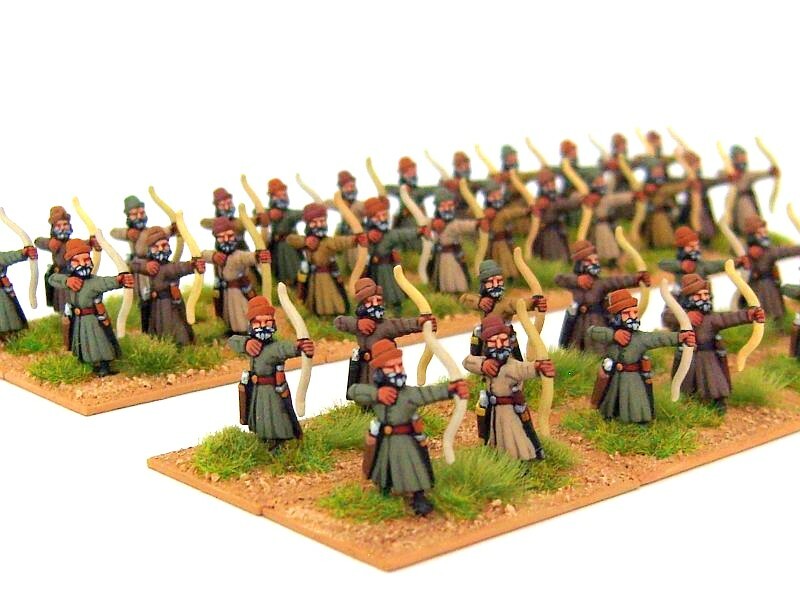 Whilst rooting through their stock of cheap unpainted medieval 15mm packs I came across a couple of packs of EMED56 Byzantine 1300-1480 Archers. I say a couple; I ended up with three packs. 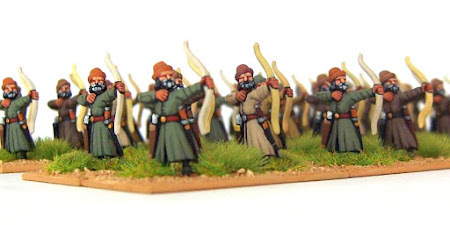 The plan was to paint these to replace the Muslim archers allowing them to return to the Timurid/Islamic Persian army they'd originally been intended for. They joined the lead pile. Step #5: Madness - at another show I bought two more packs of EMED56 bringing the total to five packs. Obviously, I needed five packs: 8 medium foot bases (8x3=24) and 8 light foot bases (8x2=16). All I had to do was paint 40 figures which is lot for me. Thankfully these are now done. I now have 26 bases of Armenian light foot when I can only ever field 8! Step #6: You did what! - at Britcon I found another pack of VA6; again from Instant Armies. They are currently on the painting table but I've promised myself two things. One, I will finish my camel gunners and two, I will not buy any more light foot.